Idea Cellular has launched a new Recharge Pack for its prepaid customers. 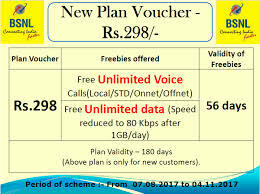 This new plan comes with Voice and Data Benefit and its cost is Rs 189. Recall that Vodafone launched a plan of Rs 189 a few days ago. This Recharge pack of Vodafone receives unlimited voice calls (250 minutes per day and 1,000 minutes per week), 2 GB 2G / 3G / 4G data. This plan comes with the validity of 56 days. An idea will compete with Reliance Jio's 198-rupee plan in the Recharge pack market of Rs 189. With a validity of 28 days, this plan of Reliance Geo comes with 2 GB of data per day, 100 SMS per day. Like Vodafone Idea's 189 bucks prepaid recharge pack comes with unlimited voice calling and 2GB data. Apart from this, Idea users will get 100 SMS facility per day. The new Recharge pack is a new version of Idea's Old 189 plan that came with a validity of 28 days. According to the report of Telecom Talk, Idea 189 is only available in select Circle only. Like Vodafone Recharge Pack, Idea's plan will also come with unlimited voice calls (250 minutes per day and 1,000 minutes per week). Calling during the validity of 56 days will be valid only for 100 unique numbers. Remember that the plan for Vodafone 189 rupees was dropped last month.